​Many years service to Hazlemere, several different posts in the Hazlemere Residents Association, founding Councillor of Hazlemere Parish Council, served on planning, Finance & General Purposes Committees, Chair of Open Spaces and Chair of Council for over seven years. Governor of Cedar Park School. 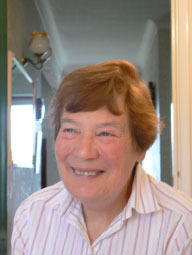 Resident in Widmer End since 1962 Trustee of the Bucks Historic Buildings Trust and the Widmer End Village Hall Trust. Retired chartered electrical engineer and company director. Member of Chiltern Conservation Board. Member of NEP Board. Served as a Hughenden parish councillor for 30 years, Wycombe District Councillor for Hazlemere North. Worked tirelessly to preserve open green space around Widmer End and Hazlemere for the benefit of the local population and wildlife habitats. Walks Widmer Fields twice daily with his dog. Erstwhile member Red Kite Housing Association, Housing 21 and ex-Parochial church councillor. Family man with grandchildren attending local schools. Has has lived in Hazlemere for over 30 years. Retired from his post as Senior Consultant with an international firm of Consulting Engineers David has over 35 years experience in design and project management of major water, wastewater and solid waste projects both in the UK and worldwide, as well as acting as an expert witness in litigation hearings. Commissioned service with REME (TA). Keen on DIY projects. Supporter since days of H7, attended Village Green enquiry at WE village hall. He and his family have been regular users of Widmer Fields for dog walking and recreational purposes. Chairman - Friends of Queensway Tranquil Park, Vice-Chairman Wycombe Almshouses, Vice-Chairman - Chepping Wye Valley LCP. Company director for local business for thirty years. Resident and support of the Save the Fields campaign for 21 years. Has experience in management, HR, logistics and customer service. A family man with three children who all attended local schools. He is a regular user of the fields and has undertaken tree planting, bird and bad box placements. He is also a member of the volunteer work force and of the Land Management Committee. A keen conservationist, his particular interests are song birds, hedgehogs and owls. 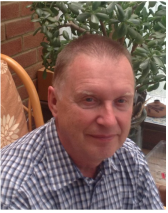 Has Lived in Hazlemere for over thirty years with his wife Alison, who has been a Guider for 28 years, and their three children who all attended local schools. Trained as a telephone engineer with the GPO and later joined the Minitry of Aviation Air Traffic Control at Heathrow Airport as an Air Traffic Control Assistant. Worked for ten years in the top of the Control Tower and then became an aircrew Briefing Officer.He retired in 2006 after thirty-seven years with ATC National Air Traffic Services. Has been walking his dogs around the area ever since moving to Hazlemere and considers himself extremely lucky to have such a wonderful area on his door step Really enjoys working on Widmer Fields keeping everything under control. ​ Widmer End benefit GAT. Lived in the area for 40 years. Two daughters and four grandchildren born and live here. Worked in two local independent schools for nearly 30 years as both Registrar for Admissions and also Personal Assistant to Headmistresses. 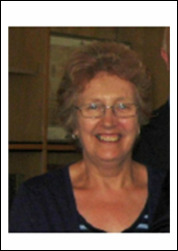 Retired 2009 and is now a Trustee of Widmer End Village Hall and Recreation Ground and member of Widmer End School Travel Plan, Secretary of Widmer End, Four Ashes and Hazlemere Community Group and Secretary of the Hughenden Community Support Trust.